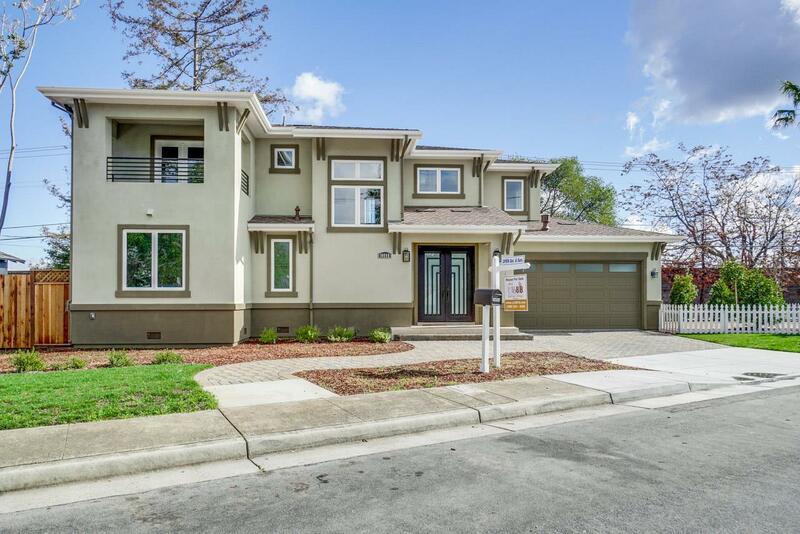 New custom-built contemporary craftsman style home located in the ever popular Monta Vista area, Cupertino. This home offers 4 bedrooms, 3 baths, attached 2-car garage. Featuring wide plank hardwood floor throughout the house, modern style cabinets, stainless steel appliance, wine cooler, wine rack, large island, built-in speakers, integrated Cat6 ethernet. Attached 2-car garage with epoxy floors and low maintenance yard features drip irrigation and automatic sprinklers. Easy access to major freeways for commuting up and down the Peninsula with ease. Top rated Cupertino school: Monta Vista High, Kenndy Middle, Stevens Creek Elementary.